SEOUL, Nov. 28 (Yonhap) — New MBC television series “Children of Nobody” debuted at the top of the weekly TV chart, data showed Wednesday. 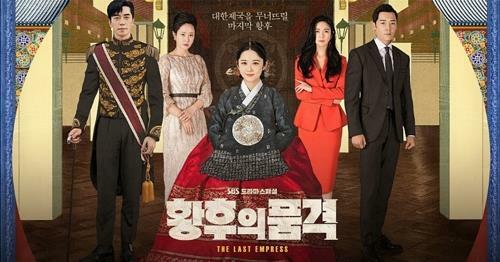 Another Wednesday-Thursday series, “The Last Empress,” which aired its first episode on the same day on SBS, trailed the chart-topper closely, with a CPI score of 265.4. In terms of viewership, “The Last Empress” beat “Children of Nobody” by 8.5 to 5.5 percent for the latest episodes broadcast last Thursday, according to Nielsen Korea.